When we launched our project management tool Scrumpy in April last year, we were overwhelmed by your feedback. You write emails, Twitter messages, you contact us through the support chat, you talk to us at events. It’s incredible how much feedback we get every day. We want to understand this feedback, sort it out and prioritize our roadmap. 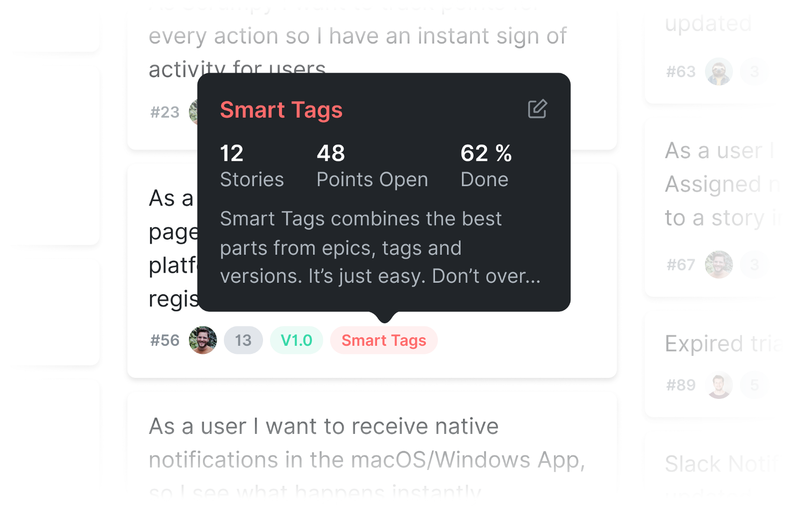 One feature that we were asked for at least once a day has been missing until recently: Tags. As a user I want to label my stories as bug so I can prioritize them better. 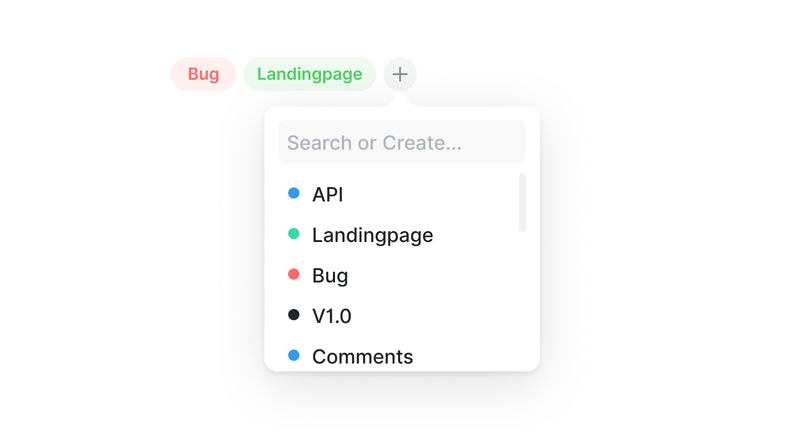 The simple feature request was something like: “I want to label stories as bug.” We thought this is a good idea and were on the verge of simply adding tags as we know them from other tools. That would have been the easy way. So we asked again and listened to all of you. With our best customers we made an appointment and discussed what they expect from tags. We noticed that there are many parallels to the Epics that we had already built into our Scrum projects. We’ve always used them to group stories on a topic. And that’s what tags are for, isn’t it? With the all new tags, we give you all these possibilities with just one feature. That’s what we call simple. Hover your mouse over a tag to see the progress and the number of attached stories to keep track of bigger features. You can assign a color to each tag to highlight things (e. g. red for bugs). Click on the edit icon to add notes to your tag. They’ll even appear on hover in the tag tooltip. Filter everything by one or multiple tags (Kanban Board, Backlog or Sprint).